Our Customer Experience team gets more than 150 inquiries per day. That's over 750 questions per week! Around 3,000 per month! Roughly 36,000 a year! Multiply that by the number of years we've been in business and…that's a lot of SSL answers! When it comes to SSL, we've seen and heard it all. We are true experts and our team has compiled an extensive list of the most common FAQ they get day-in and day-out. If you want to profit from SSL, these are the questions and answers you need to know to retain customers, encourage renewals, prevent cancellations and to be awesome. Know these and you'll be on your way to growing your SSL business. The main criteria for qualifier for an EV certificate would be that your business is an official company registered with a government authority. Also, if you're a Sole Proprietor or a Partnership registered in the U.K., you cannot qualify for any EV SSL certificate. All major SSL Brands like GeoTrust, RapidSSL, Symantec, Thawte & Comodo offers coverage for www and non-www on single-domain certificates. However, multi-domain certificates may require each domain that you need to secure to be included as an additional domain and will not automatically cover any domain name. Please contact our support team if you need any help picking the best certificate for your needs! Multi-domain or SAN (Secure Alternate Name) SSL certificates can cover multiple domain names on just one certificate. For example, Symantec and Thawte multi-domain certificates can cover up to 250 domains, whereas Comodo certificates can cover up to 250 domains with just a single SSL certificate. GeoTrust multi-domain certificates can cover anywhere from 25 to 250 domains, depending on the type of certificate you order. Wildcard SSL certificates can cover one main domain (www.domain.com) and an unlimited amount of subdomains (mail.domain.com, login.domain.com, test.domain.com, etc.). Multi-domain (SAN) SSL certificates can cover multiple domains on just one certificate. For example, Symantec and Thawte multi-domain certificates can cover up to 250 domains, whereas Comodo certificates can cover up to 250 domains with just a single SSL certificate. GeoTrust multi-domain certificates can cover anywhere from 25 to 250 domains, depending on the type of certificate you order. 256-bit encryption is a server configuration. This has nothing to do with the certificate itself, it is based on your server configuration. To learn this, you should seek information provided by your webhosting platform or operating system. They will inform you how to set this encryption strength up. SHA stands for Signature Hashing Algorithm. It's a mathematical hash that proves the authenticity of the certificate. SHA-1 is an older version of the algorithm that is no longer seen as secure by industry experts and major browsers and is not allowed to be used during the generation process any longer by the industry. SHA-2 is the latest version that is widely accepted and viewed as secure by all major browsers and industry experts. The hashing algorithm of your CSR has no relevance to what hashing algorithm is used on the certificate. A Certificate Authority (CA) is the company that actually issues the SSL certificates. Symantec, Thawte, GeoTrust, RapidSSL, and Comodo are all CAs, for example. We are a reseller of these CAs, meaning that we are able to offer the exact same certificate that you would get from buying direct, but at much lower prices. We are hooked up to the API of these CAs, which is how we are able to offer the exact same products. Because we buy in bulk, we are able to offer them at the significant discounts that you see. We also offer dedicated SSL support for every certificate we offer and can help walk you through the entire process, from purchasing to generation to issuance to installation and more. All of the Certificate Authorities (CAs) that we carry are leaders in the industry and trusted across the world. Symantec is the largest CA in the world, and their Norton Trust Seal is the most recognized symbol of trust across the web. Their name definitely adds the most value of any CA in the industry. Additionally, GeoTrust, Thawte, RapidSSL, and Comodo are all trusted and secure CAs. Yes, the brands that we provide all have their roots included in modern devices and browsers. They all feature 99% or better compatibility, or browser ubiquity. An SSL certificate warranty covers any damages that you may incur as a result of a data breach or hack that was caused due to a flaw in the certificate. The warranties range in value, which means that the higher value certificates come with more extensive warranties. Our SSL certificates can be valid from anywhere to 1-2 years, depending on the certificate you choose to purchase. Per the Certificate Authority/Browser (CA/B) Forum, the governing body of the SSL industry, EV certificates can only be issued for a maximum of 2 years. 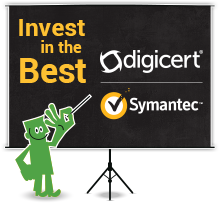 DV and OV certificates from Symantec, GeoTrust, Thawte, Comodo, and RapidSSL can be issued for a maximum of 2 years. An intermediate certificate is a file that helps the web browser identify who issued your SSL certificate. It is not required, but it is HIGHLY recommended that you install it along with your server SSL certificate in order to have full compatibility with all browsers and mobile devices. An intermediate certificate will be emailed to you along with your SSL certificate. You can also download the intermediate certificate from the vendor's website, which is something that can be done if you didn't receive the intermediate via email. This is also sometimes referred to as the "CA Bundle." It is also important to note that some certificates have multiple intermediate certificates. You can use SSL to cover an internal domain if it is an officially registered domain (a publically available FQDN). If the internal domain is not a delegated and registered domain, the certificate will not be issued. That is the difference between the key lengths used once an SSL connection has been established in the browser. 256-bit security is indeed a bigger key however that does not necessarily mean it is more secure. Experts and research agrees that 128-bit is equally secure for the foreseeable future. The only reason 256-bit security is needed is if it's specifically required by your industry or company policy. All our certificates have the ability to use either bit-length, which one you use is a matter of server configuration, NOT certificate support. This largely depends on the type of Multi-Domain SSL certificate that you purchase. Comodo Multi-Domain certificates can cover up to 250 additional domains. Symantec and Thawte certificates can cover up to 25 additional domains. GeoTrust Multi-Domain certificates can cover anywhere between 25-250 additional domains, depending on the certificate. UC stands for Unified Communications and is a newer type of SSL certificate that is designed and primarily used for securing Microsoft Exchange 2007 and Microsoft Office Communications Server 2007 products. The main difference between a UCC SSL and a standard Multi-Domain certificate is that a UCC can secure both internal network names and external domain names as well. A Multi-Domain Wildcard SSL certificate can secure multiple domains and all of their associated subdomains. Basically, this certificate combines multiple wildcard domains into one certificate. Your private key should always remain private. The only person that should see your private key is your hosting company, if they ask for it. However, do not delete your private key, as it is required for your certificate to work. 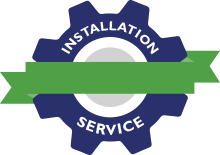 If you're in a pinch and need your certificate fast, feel free to contact your SSL provider with the exact order you need expedited. They have connections with the Certificate Authorities (CAs) directly and can help make sure your urgent order is treated with top priority. If you are unsure what your Control Panel/Server OS is, we recommend that you ask your web hosting provider or your IT department. You can switch your method of Domain Control validation from file-based to email-based for any SSL product that we provide. You can switch from email-based to file-based only for Comodo products. You do not need to provide any documentation in order to purchase a Domain Validated (DV) certificate. All you will need to do is confirm that you own the domain you wish to cover, either through a simple email or file-based authentication. Organization Validated (OV) verification requires checking your business registration. If the Certificate Authority (CA) can verify this information using online government databases, no additional documents will be required. However, if the online filings are not available or inaccurate or not up to date, the CA may request additional official government registration documents, which vary on a case-by-case basis. A Dun & Bradstreet listing can usually satisfy most of the requirements for an OV certificate. During the code signing enrollment process, CA will collect information about your organization for authentication. The validation process may take a few hours or several days, depending on the information you provide and how easily it can be verified. Also, make sure to check the Spam or Junk Mail folder of your email provider. I would like to change some information for my Domain Control Validation email (DCV). If the common name needs to be changed, the only way to do so is by cancelling and reordering the certificate. Please upload your file to the correct directory. To make sure the authorization is successful make sure the file is viewable at both yourdomain.com/filepath and subdomain.yourdomain.com/filepath. The File URL path will be http or https://www.yourdomain.com/.well-known/pki-validation/fileauth.txt. This means you must create two additional sub-folders before saving the text file on the server. This largely depends on the type of certificate that you purchased and your response times. No matter which type of certificate that you purchase, the Certificate Authority (CA) will be contacting you directly and will only proceed with next steps upon your response. For Domain Validated (DV) certificates, these can typically be issued in a matter of minutes to one business day. For Organization Validated (OV) certificates, these tend to take around 2-3 business days to be issued. And for Extended Validation (EV) certificates, these usually take between 3-5 business days to be issued. Certificate Authorities (CA's) randomly pull certificates aside for additional review from time to time. This does not mean you did anything wrong or that your certificate is invalid. This could also be due to an issue with your domain name. We would advise you to contact your SSL provider, who can contact the CA directly and help get this resolved quickly. Yes, you can do this for DV, OV, and EV certificates. If you still have the order number they can use the automated password reminder system or if not then, an email must be sent from the administrative email address on the account to support@thesslstore.com. Concluding the original domain name it was purchased for, or the original order number. First check your backups and see if you can re-install the "private key". If you don't know how to re-install the key from your backups, contact your systems administrator. Failing that, contact your web server software vendor for technical support. The only alternative course of action available is a re-issuance of the certificate following the re-submitting of a replacement CSR. A CSR stands for Certificate Signing Request and is necessary for all SSL certificates in order to complete the generation process. A CSR is generated from your server. Please consult official documentation for your server, operating system, or control panel. Most documentation can be found online through a simple Google search. It is impossible to edit any fields once the CSR has been created. You will simply need to generate a new CSR with the correct details? Make sure you have the correct file copied and not your self-signed certificate, your previous SSL, or if it is bundled as a PKCS7 or PKCS12. Or, you could have a pass-phrase that does not have alpha-numeric characters or disallowed characters. If this is the case, you will need to generate a new CSR without the disallowed characters or in the proper form. Please only use the English alphabet and numbers 0-9. For example, if the "&" symbol is included in your Organization Name, please type out "and" instead. If this happens, your common name is not appropriately formatted for your type of certificate (wildcard certificates should use *.domain.com, for example) or you could also have disallowed characters in other fields. Please create a new CSR that only use the English alphabet and numbers 0-9. For example, if the "&" symbol is included in your Organization Name, please type out "and" instead. This is because it is missing one or more required fields or the CSR contains non-alphanumeric characters in the required fields. You can add additional domains to an active certificate by reissuing it. You will need to reissue your certificate and generate a new CSR. You will have to reissue your certificate with a new CSR. If you have the original private key on the active certificate, you can install it on the new server or provide it to your new web host. If you do not have the original private key, you will have to reissue your certificate with a new CSR. For all technical support matters regarding your SSL certificate, you can contact your SSL provider, if needed. The CA does not provide direct support, but we will be able to help you right away, as we are more specialized. However, you can contact the CA directly for questions and support related to the actual validation process of the SSL certificate. When the certificate is issued, the Certificate Authority (CA) will send an email to the Technical Contact listed on the order. That email will contain the certificate files. First, check your certificate license. There are two methods to install your certificate on multiple servers. The first method is to import the certificate, private key, and intermediate files on server #2, #3, etc. Or, create a new CSR and key file on server #2, #3, etc. and reissue the active certificate. The issue is that your visitors' browsers are unable to properly identify who issued your certificate. First, confirm that your visitors are not seeing an incorrect or outdated certificate. Once you have made sure that your visitors are seeing the correct certificate, the issue is most likely solved by installing the intermediate certificates. Yes, you must have a static IP address for an SSL certificate. If you do not have one, you may be able to assign one via your webserver or you may need to purchase one from your web host if you own/operate your webserver (usually only a few dollars a month). Insecure content, which means there are HTML elements on your site being explicitly linked by http. This would need to be updated via your system administrator. Missing or invalid intermediate chain. Your certificate is issued from an intermediate file. Make sure that you install this alongside your certificate on your server. If you do not have this file please contact your SSL provider. Your certificate is issued with the SHA-1 hashing algorithm. Browsers no longer trust this algorithm. You will need to reissue with SHA-2. It is the incorrect certificate. Sometimes your old expired certificate or a certificate provided by your hosting company or a self-signed certificate is installed on your site. You will need to identify the source of the incorrect certificate and contact that party to resolve the issue. There are actually many reasons why this could be happening, some of which could be entirely unrelated to your certificate. So, unfortunately, we can't give specific advice. But, we would recommend clicking on the "Details" button to get more specific information about this error from the browser. This means that URL in the browser and the common name in the certificate are not an EXACT match (for instance, the www. is missing). Another common reason for this is the web host's certificate is incorrectly assigned to your domain name. Or, you purchased a certificate that does not cover the specific subdomain you are looking at. This is more than likely because the intermediate certificates were never installed. Installing them should resolve this error. Below you will find links on where to locate and install your intermediate certificate, depending on the Certificate Authority that issued the cert. Or you can always contact your SSL provider. You can use the SSL checker tool to test whether or not your SSL certificate has been installed properly. The link is: https://www.thesslstore.com/ssltools/ssl-checker.php. A renewal is basically the same as buying a brand new certificate, "renewal" is simply an industry term that is used by all providers. So, you can go through the exact same purchasing process to renew your certificate. However, if you have access to a "renewal" option when purchasing your SSL certificate, be sure and use that so you get the remaining time rolled over from your expiring certificate to your new renewal certificate. We recommend that you generate a new CSR to renew your certificate; however, if generating a new CSR proves to be challenging, you can use the original CSR and it will work. The drawback of using the original CSR is that it will be the exact same private key, so it's a little less secure. Depending on the certificate details submitted with your renewal, the Certificate Authority (CA) may be able to use some previously validated information/documents. If this is an EV order, certificates validated more than 13 months are required to complete full business validation again, including providing new documentation. For OV orders, the CA can reuse previous validated information up to 39 months from the original order. Please note that if any details of your organization change, you may be required to provide additional documents. Most likely, you did not generate or apply for your renewal certificate. Think of SSL like a passport – when the old one expires you must toss it out and apply for a new one. You should be able to see in your account or via an email how to generate or apply for your new order. If you have generated, make sure that the new certificate was approved and installed in place of the old expiring certificate. Most likely, you did not generate or apply for your renewal certificate. Think of SSL like a passport – when the old one expires you must toss it out and apply for a new one. You should be able to see in your account or via an email how to generate or apply for your new order. If you have generated, make sure that the new certificate was approved and installed in place of the old expiring certificate. If the new certificate is installed, then the issue is with the configuration. Common solutions to this problem are to restart your webserver (http server), also to uninstall/delete the incorrect/old certificate(s). A code signing certificate is technically not an SSL certificate. It is a certificate-based digital signature algorithm that verifies a piece of code has not been altered or corrupted since it was signed by the author. You can think of it as "digital shrink-wrap" that verifies code is authentic, increasing customer trust and willingness to download and install it. All major operating systems like Windows, Apple OS X, and Linux support code signing and use it themselves to ensure malicious code can't be distributed through the patch system. In order to utilize the in-browser controls provided by the CA, all applicants who are attempting to generate a code signing certificate must use Firefox as their default browser. If this browser is not properly used, the applicant will receive an Error Message. Due to the amazing in-browser controls provided by the CA, applicants who use Firefox as their browser will be able to automatically generate the CSR and store the private key within Firefox's file system. This unique private key will automatically be pulled by the corresponding certificate during the installation/download process. After completing the validation process, the CA will release the certificate from their system and send a 'collection' or 'pick-up' link to the verified email address. Using the same PC which generated the order and Firefox as the browser, follow the link and download the certificate. Firefox will automatically pull the previous stored private key and install the code signing certificate. After downloading is completed, we recommend exporting the code signing certificate and private key from the browser into a PFX (.p12) file. The issue lies with either one, two or a combination of both things. First, make sure you are using Firefox as your default browser. If this browser is not used properly, you will receive an error message. Second, please make sure you are using the same PC which generated the order. If you are using a different PC, the certificate will not be able to download because the corresponding private key is missing. Under the certificate tab, select "View Certificates"
cWatch is a hands-off Security as a Service (SaaS) solution hosted in the cloud and backed by the leading security experts at Comodo. cWatch compiles a Cyber Security Operations Center (CSOC), Content Delivery Network (CDN), a Web Application Firewall (WAF) and a Security Incident and Event Management Center (SIEM) all into one simple user intuitive control panel. Why do I need cWatch? With increasing security costs and the known impacts of data breaches on your reputation and sales, cWatch is a no brainer. With the backing of the security experts at Comodo and powerful security services, cWatch is a must have tool for maintaining control of your online presence. Will my site work with cWatch? cWatch was built to support any type of website. 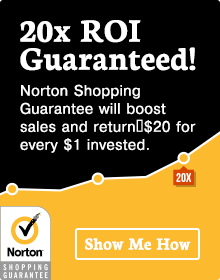 Whether the site is a blog, social network, portfolio, shopping cart, landing page, ect. cWatch has a plan for you and can be easily implemented in no time. How much does cWatch cost? The cost of cWatch can vary depending upon the level of security needed, to review the full costs and comparison click here. 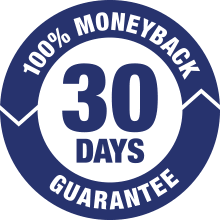 If you're uncertain which plan is for you, please let us know or give our thirty (30) day trial a go by clicking here. Can cWatch be purchased on a monthly basis? At the moment, cWatch is limited to yearly subscriptions but don't fret! In the not too distant future, cWatch will be capable of being purchased on a monthly basis. If you'd like to be notified upon the launch of the monthly subscription please click here. Does cWatch require anything technical? Just a tiny bit. During the setup process, you will need to login to your domain registrar and configure some new DNS settings and also upload a file to your website. Don’t worry however, our team is on standby to assist if needed. How long does cWatch take to setup? This hands down has to be the best part of cWatch, it literally doesn't take more than ten minutes to get a Content Delivery Network (CDN), Malware Monitoring, a Web Application Firewall, Vulnerability Monitoring, and much more. Setting up these services on your own could take days, if not weeks. Also, the costs of appliances, software, configuring, tuning, and testing could really be a burden. Security never sleeps and neither does cWatch. Every second, minute and hour of every day cWatch is constantly running checks behind the scenes to ensure your website is safe for visitors. Can cWatch be upgraded at any time? Absolutely! If you ever find you need additional security services, you can always upgrade your package on the fly without any interruptions to your current operations. Does cWatch alert me to any issues on my site? cWatch has built-in support for E-Mail, Text (SMS), and Call notifications when any trouble or questionable activities arise on your website. I'm in need of immediate malware removal! No worries! Our operatives are on standby and ready to assist in getting your site back up and running. Please click here to proceed with purchasing out immediate malware service removal and have your site back up and running in no time.